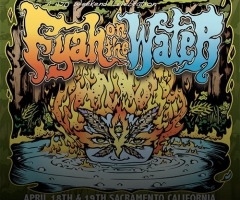 During the weekend of June 13-15, 2014 the cozy little town of Angels Camp which sits roughly two hours east of San Francisco, California gets transformed into a reggae music hotspot, attracting thousands of reggae enthusiasts from around the nation to gather and have a great time at the annual Reggae in the Hills festival. Angels Camp, mostly known locally for it’s jumping frog competition surprisingly offers a great outdoor family friendly experience complete with camping, art workshops, great food, a skate park, and best of all amazing music. The overall layout of the Fairgrounds worked very well. The large open lawn provided ample space to sit down and stretch your legs without feeling the need to actively watch your back in case someone decides to trample over you and your belongings. The acoustics and sound quality was surprisingly incredible given the outdoor setting. On top of great sounding music, the view from almost anywhere was unobstructed, giving you and your company a straight shot view of the stage. 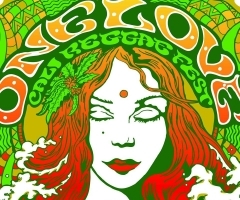 The Friday kickoff to the weekend of heavenly reggae music started off leisurely at around 3pm, which in our opinion was a great time to start on a weekday due to travel time and work schedule conflicts. 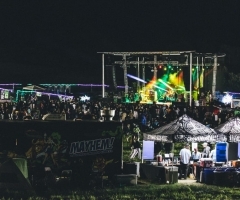 Although a later start, the party was just getting started with heavy hitting acts like Arden Park Roots, Sol Seeds, Mystic Roots, Fortunate Youth, and Collie Buddz closing out the night. Set times for the artists were also very generous, clocking in between an hour to two hours depending on the artist. 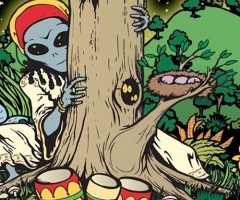 Overall, the Friday Reggae in the Hills experience went extremely smooth from our perspective and we, like everyone else, had a great time. Please enjoy the day one gallery.